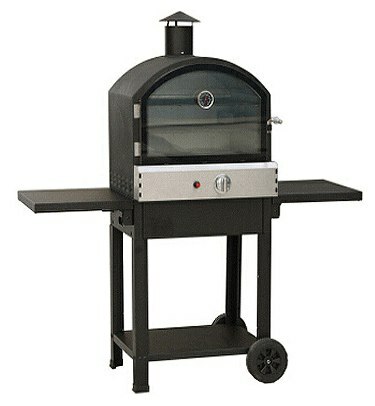 BBQ gas oven ideal for pizza, roasting meats and smoking. Stainless Steel control panel and front view window with temperature gauge. Trolley stand with wheels included. Housing: steel with powder coating.